I’ve grown hesitant when it comes to writing about my emotional state. More often than not, I’m in a completely different headspace by the time I hit publish. It’s left me feeling like I’m perpetually waiting for a chapter to end before I have enough perspective to get something down. Days turn into weeks into months into scenes getting ever smaller in the rear-view mirror. By the time I have the words, I’m lost in a new scene again. It hasn’t given me much of a chance to be mindful or present. I can only hope my camera will help me remember the details as they pass. 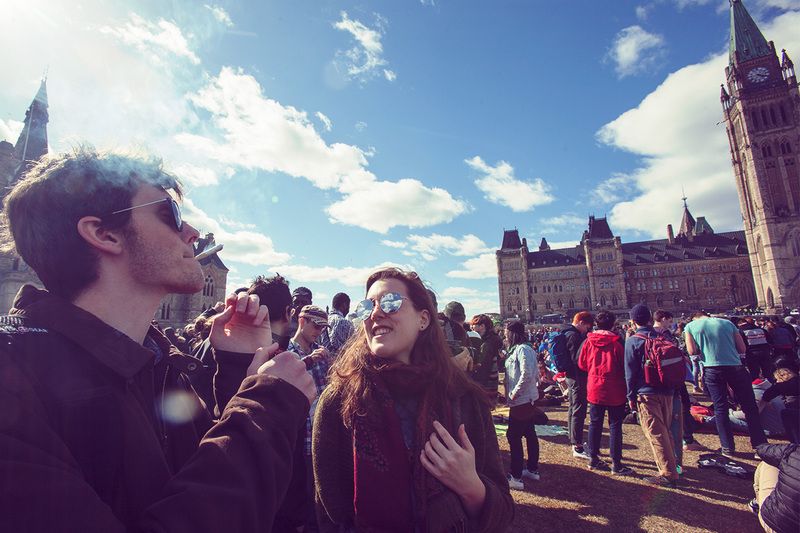 The 4/20 protest on Parliament Hill this year was blessed with mild weather and good friends. Most recently, I’ve been having contiguous days that weren’t filled with misery or hopelessness, and the fact that I can make “days” plural is a small wonder. I can’t explain it on anything other than a new dose of anti-depressants — 2mg of aripiprazole to top off the 100mg prescription of desvenlafaxine I’m already taking — but I can tell it’s working. The bottom isn’t as deep when I’m feeling low. My reaction to any setback isn’t immediately giving up (on life). Being buoyed by two little milligrams feels like a cheap answer after searching desperately for meaning and reason for all the pain for so long, but I’ll take it gladly.